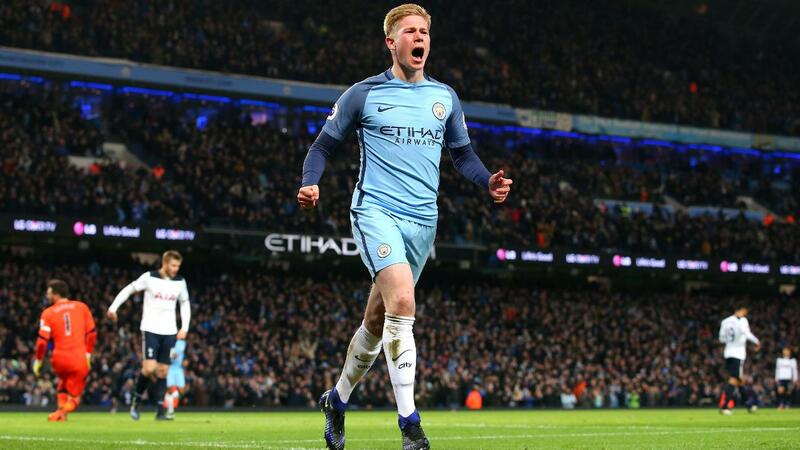 Kevin De Bruyne (£10.5m) was awarded the maximum Fantasy Premier League bonus points from Manchester City’s 2-2 home draw against Tottenham Hotspur. Scoring 45 in the Bonus Points System (BPS) the Belgian supplied a goal and assist, also registering four recoveries and three successful tackles and completing 71% of 53 attempted passes. 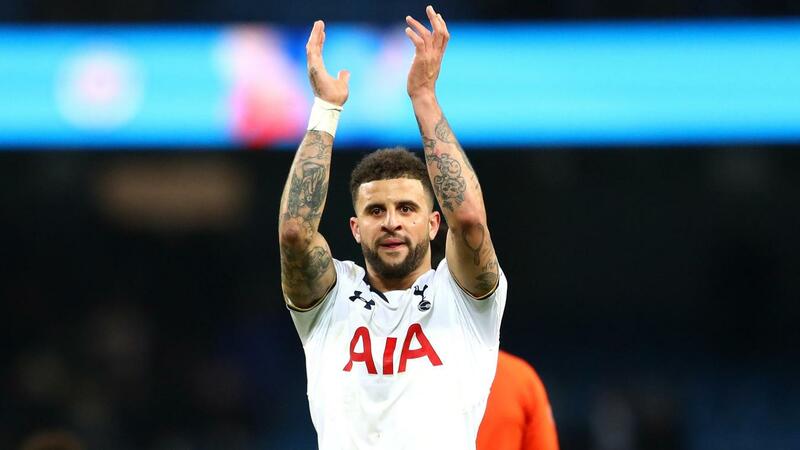 Spurs’ Kyle Walker (£6.2m) collected two bonus points, with 23 in the BPS. The right-back supplied the assist for his side’s first goal, produced six recoveries and won two tackles. Aleksandar Kolarov (£5.8m) received a single bonus point thanks, tallying 22 in the BPS. He produced 15 clearances, blocks and interceptions (CBI), 11 recoveries and a successful tackle at the Etihad Stadium. Completing 83% of 48 passes, two of these also led to goalscoring opportunities for the hosts. De Bruyne claimed top spot in the ICT Index thanks to a tally of 16.6, his second highest of the season. The Man City playmaker fired three attempts on goal, all from inside the box, on his way to scoring for the first time since Gameweek 5. He also created four chances and completed a pair of crosses. City pair Raheem Sterling (£7.7m) and Sergio Aguero (£12.8m) claimed second and joint-third with scores of 8.2 and 7.5 respectively. The duo were identical for goal attempts (three), efforts in the box (three) and shots on target, with two apiece. Dele Alli's (£8.8m) eighth strike in the last six Gameweeks moved him only two points shy of second place in the FPL midfield standings. He has been acquired by more than 57,000 FPL managers since the weekend deadline, more than any other player. Alli could be about to benefit as Mauricio Pochettino's side prepare for a favourable run of fixtures: four of their next six Gameweek opponents score two in the Fixture Difficulty Rankings (FDR). Meanwhile, Walker has now supplied an assist in four of his last six Premier League appearances, taking his tally to six for the season – more than any other FPL defender. But Spurs’ clean-sheet prospects could be dented after Toby Alderweireld (£6.3m) limped off with a hamstring problem. Importantly for FPL managers, Pochettino is already without another first-choice central defender, Jan Vertonghen (£5.6m), due to an ankle injury. De Bruyne’s return to form looks promising for Pep Guardiola as his side prepare for a schedule where five of their next six opponents register no more than two in the FDR. "We'll know better in a few days but it doesn't look too bad." Owned by only 7% of FPL managers, the Belgian could yet emerge as a strong differential option in midfield. Man City's new recruit Gabriel Jesus (£9.0m) should also be monitored in the coming weeks. Handed a nine-minute debut off the bench on Saturday, the Brazilian was denied a winning goal after one of his two efforts was ruled out for offside. He adds to the competition for the wide roles in Guardiola's side, which intensified further after Leroy Sane (£7.5m) found the net against Spurs. The summer signing has now scored in each of his last two starts, though has only featured in two of the last six Gameweeks.